The Salem Area Mass Transit District presented the most recent concept design for the Salem Salem Transit Center at the December 3rd MWACT meeting. 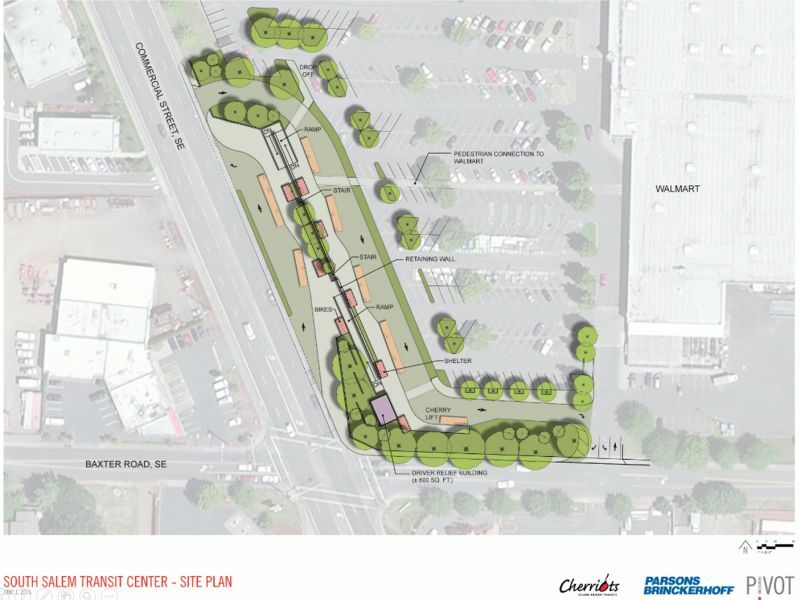 The design is shown at the selected location of the new transit center (at the corner of Commercial Street SE and Baxter Road SE, next to Walmart.) The design includes six bus bays, a spot for Cherry Lift vehicles, shelters for passengers, bike parking, and a 600 square foot driver relief building. For additional information, click here.